This panoramic account of 1776 chronicles the other revolutions unfolding that year across North America, far beyond the British colonies. In this unique history of 1776, Claudio Saunt looks beyond the familiar story of the thirteen colonies to explore the many other revolutions roiling the turbulent American continent. In that fateful year, the Spanish landed in San Francisco, the Russians pushed into Alaska to hunt valuable sea otters, and the Sioux discovered the Black Hills. 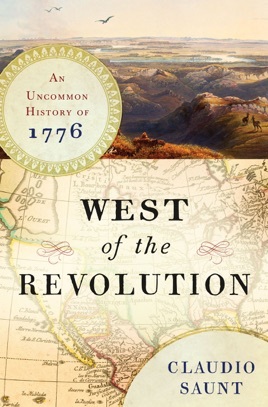 Hailed by critics for challenging our conventional view of the birth of America, West of the Revolution “[coaxes] our vision away from the Atlantic seaboard” and “exposes a continent seething with peoples and purposes beyond Minutemen and Redcoats” (Wall Street Journal). 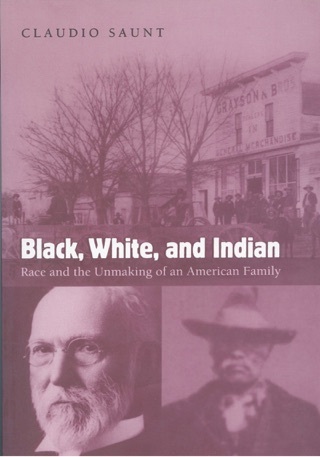 This work adds to a growing library of untraditional histories that incorporate everyone who's had anything to do with the formation of the United States. Saunt, a University of Georgia history professor and noted expert on American Indians, asks a simple question: what was going on around 1776 in the territories that became the U.S.? That is, what's the story on this continent when you leave out the Revolutionary War, which he scarcely mentions? It turns out that much was going on, and many different peoples primarily the French, Spanish, Russians, and Native tribes were involved in the lands west of the Appalachians, contesting for land, power, empire, and riches. The declaration of the colonists' independence, of huge future significance, was scarcely noticed there. Missionaries, explorers, land-hungry speculators, and scalawags, many of whom most readers will never have heard of, continued their rivalries for faith, country, and self-interest, thus making a stew of ambitions on the North American continent. Saunt's lively prose highlights the extent of this mess, but unfortunately, it's hard to know what to conclude from his pastiche, or how it affects our knowledge of the Revolutionary period. Regardless, no one who reads it will think of 1776 the same way again. Maps & illus. By focusing on the continent outside the 13 colonies in the time of the American Revolution, Saunt gives a great picture of the full scope of American history. Russian, French, Spanish, and indigenous cultures were clashing, with dreams of empire and riches drawing them in. It is intriguing how miscommunication and wayward mapping helped shape decisions that had lasting impact. And you will never think of “native” culture as monolithic ever again.